1. How to Pass Multiple Models Data to Views using View Model Class. View Model is nothing, just a class that calls all models in a single class and then returns values to view pages. It becomes very useful when you have multiple models and want to display their value in one view pages. Before Starting this section, you must create following classes. 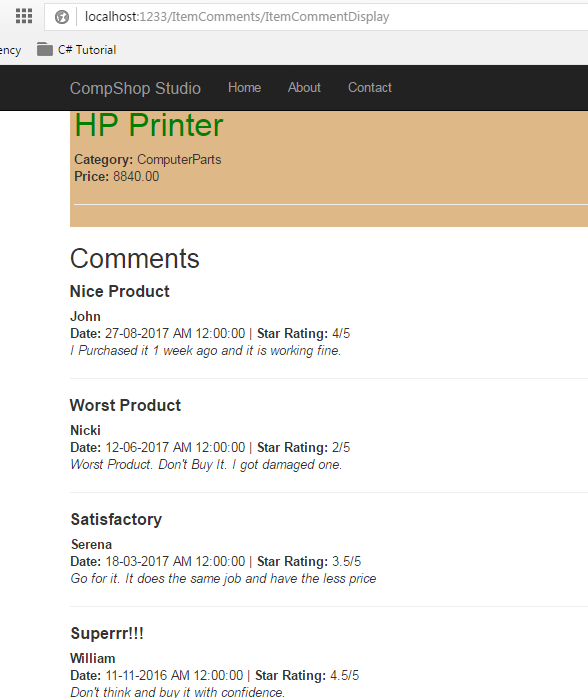 ItemCommentsController – It will retrieve Items and Comments from models. I have added some items and comments in controller class in order to reduce complexity. Using the same method you can display database value to view pages. 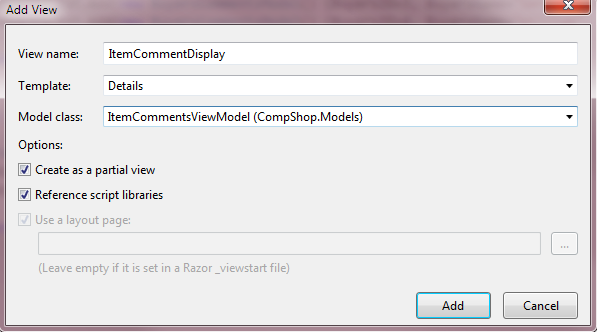 Step 1: Add an ItemCommentsViewModel class in Model folder. Step 2: Add highlighted (Line: 42-49) code snippets in ItemCommentsController. // *** 3. This Method retrieves Items and Comments, and returns to Views. 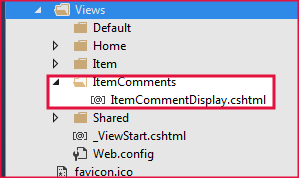 Step 5: Now, go to Views ItemComments ItemCommentDisplay.cshtml and Add the following code. Step 6: Press F5 to run this program and navigate to following link to see the output. In this chapter, I have tried to teach you View Model using the simple program. As an ASP.NET MVC Developer, you will always use View Model to display multiple model data in single view pages.